Zuhause > Wie schneidet man einen Schinken oder eine Vonderschinken? How to slice a ham or a shoulder? Before slicing a ham or a shoulder, it is important to bear in mind some things to know how to get the perfect sliced ham. It is known shoulders are smaller than hams, as shoulders are front legs and hams are hind legs. It is important to highlight that shoulders have more fat and bone than hams, which makes it more difficult at the time to slice it. 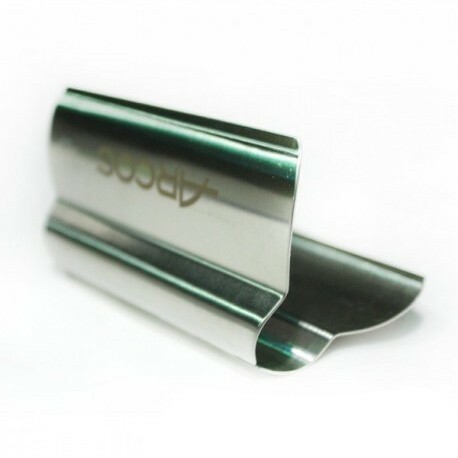 The place where you will slice the piece should be spacious and suitable to slice. Slicing the ham in small-sized places may be uncomfortable, so it will make more difficult the cut of the slices. Moreover, be aware of where you place the hand without knife. 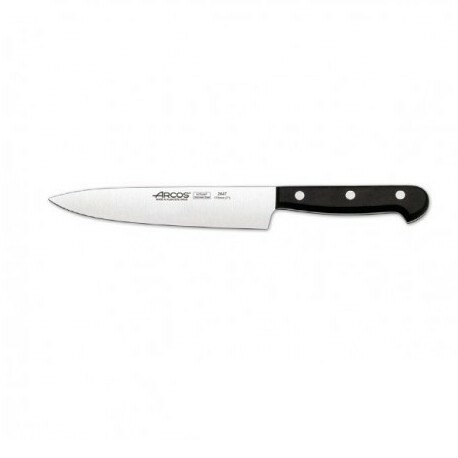 Be aware of placing it in the cut's direction to avoid any injuries if the knife slips. 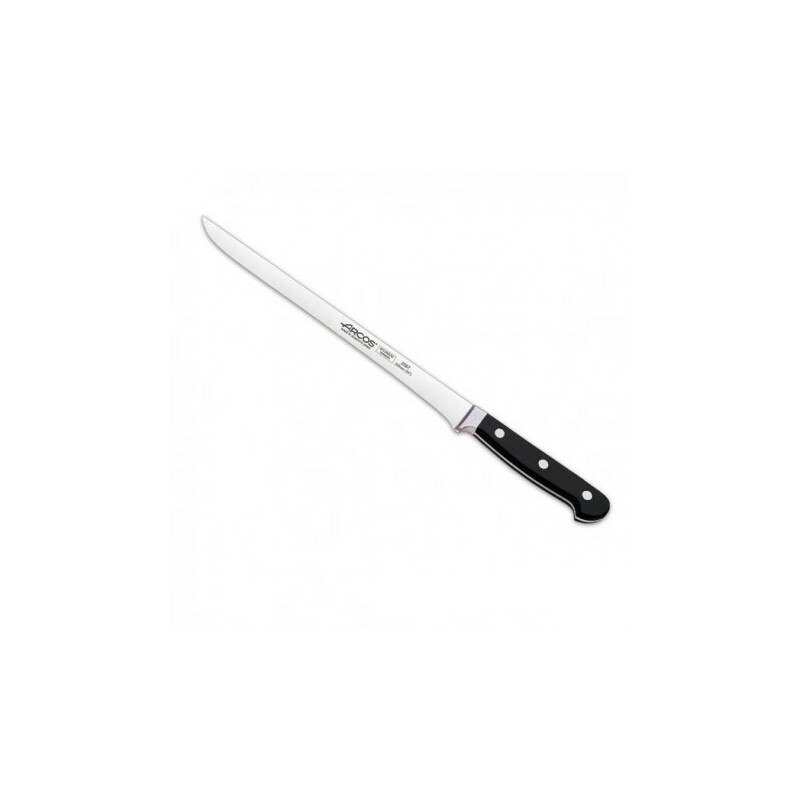 Slicing knife if a long a flexible blade to slice the ham. 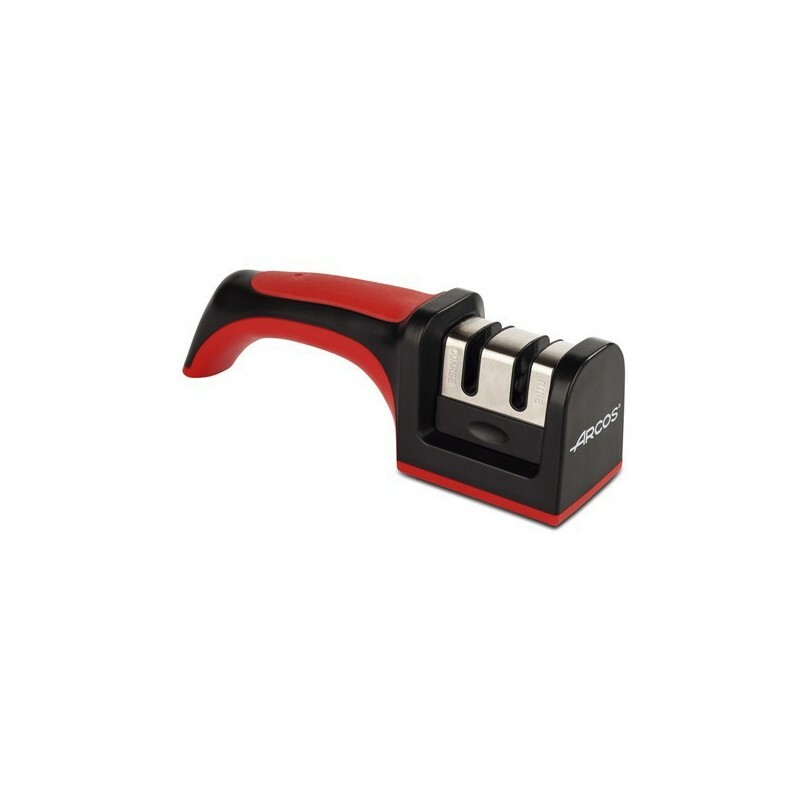 Sharpener or chiara for sharpening the knife and better profit knifes, as well as making better and thinner slices. Firstly, we would like to highlight there are different ways to slice hams. As you know, "Different strokes for different folks". In those videos and explanations we suggest the best way for us to consume the ham at home. Firstly, we will place the ham into the ham holder with the hoof looking down, so we will start from the driest part. We will start slicing from this part, so we will leave the driest part to the end. We will peel the part of the ham to slice with the peel knife. We peel the upper part and both sides so it will be better to slice afterwards. At the point we will see there is enough fat removed, we will start slicing the ham. We will take the slicing knife. We will start slicing the contramaza (narrow end) as it is the driest part of the ham, so we will avoid overdrying it. The cut should be done flat and upright in order to avoid injuries or wasting the piece. Moreover, we will better profit the whole ham. The cut should be done from top to bottom. In other words, we will slice from caña (shinbone) to the lower part. We advice leaving small slices gotten in a big plate, so you will place the all with no problems. As you have less ham left, so we have a bearing on the inferior bone side, encircling it to get the best ham possible. When there is the whole bone outside, we turn the piece to start slicing the maza (thicker end), the most tender option. Once the ham has been turned, a cut is made with the peeling knife of a wedge shape on the upper leg side to start slicing it. As in the contramaza (narrow end), we will start the maza (thicker end) peeling and removing the fat before the ham. When the ham appears, we take the slicing knife and we start slicing thin and small slices. We should sharpen the knife properly to make small and thin slices and better profit the ham. As you slice it, it is time to peel both sides. We should keep slicing the ham with the slicing knife, slicing deeper. Below, we will start cutting around the bone. In order to profit this side of the bone, we should slice around. As we have cut more maza (thicker end), the ham will be more unstable. We will keep slicing until finding the bone, so we advice holding the inferior bone side, so it will be more stable and we will avoid any injuries. With the point of the peel knife, we start getting the ham in the babilla (narrow end) bone, the thinner upper part of the ham. Finally, we will have to clean the bone. The upper part of the bottom side (inferior part of the ham) will have to slice in small round slices, getting closer to the bone. It is worth speeding the ham up of that side, we will get some exquisite ham. We place the ham in the ham holder with the hoof down-sided and properly holded to start slicing it. We remove both skin and fat with the peel knife bottom-up. The cut done in the skin should be done depending on the amount of ham we will be cutting and consuming. As with the ham, we should start the piece from the driest part with a straight and plane cut. This will avoid overdrying this area if we leave it to the end. We advice starting to slice the piece from the contramaza (narrow end) as it is the driest part. We should be slicing it up bottom, with a straight and plane cut. We will keep slicing le punta (flank) with a straight and plane cut, from the upper side to the lower part until getting the bone. As we are slicing closer to the bone and harder to slice, we will turn the piece around to continue slicing the maza (thicker end). As in the contramaza (narrow end), we will peel the maza (thicker end) until removing both skin and fat. After removing the top layer, it is time to slice up bottom, as in the ham. The maza (thicker end) is the widest part, so we will get bigger slices. The cut should be straight and plane to avoid wasting the piece. We will keep slicing the maza (thicker end) until getting the bone. Afterwards, its time so peel both sides of the ham as consuming the ham. We will clean the bone using the slicing ham. It is worth cleaning the bone as the ham around is very tasty. Sholders are smallers than hams, being front and hint leg respectively. The majority of our ham holders are suitable for both hams and shoulders. We do not recommend a small ham holder for medium or large size hams. The most important for a ham holder is stability, as it will provide a good quality cut. A good subjection of the ham and shoulder will be more comfortable at the time to slice. The stability of the ham holder is very important at the time to choose it. A stable ham holder will add quality to the cut, as well as safety at the time to cut the ham. Depending on how you will use your ham holder, its features may vary. 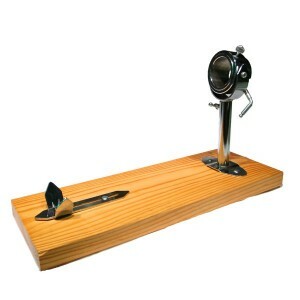 If you use the ham holder often, it is recommendable to have good V-fasteners and holders, as well as rotating grip. Those two features will make easier the cut of the piece, as you will turn the piece better and work more comfortable. A spacious place is perfect to slice the ham, but the reality is we do it in the most comfortable place for us. If you have a small place to do it, the best thing to do is getting a foldable ham holder easy to store or a, in case of not using it often, which can be taken apart. However, if you use it regularly, the best thing to do is choosing an overtable ham holder. As we have ham holders for any kind of budget, it is important to mark a maximum to spend on it and selecting the best fits on your needs. Contact us if you need any advice or more information about ham holders on our catalogue.